A few months ago I made the switch to beef protein powder and cut out whey protein powder entirely. 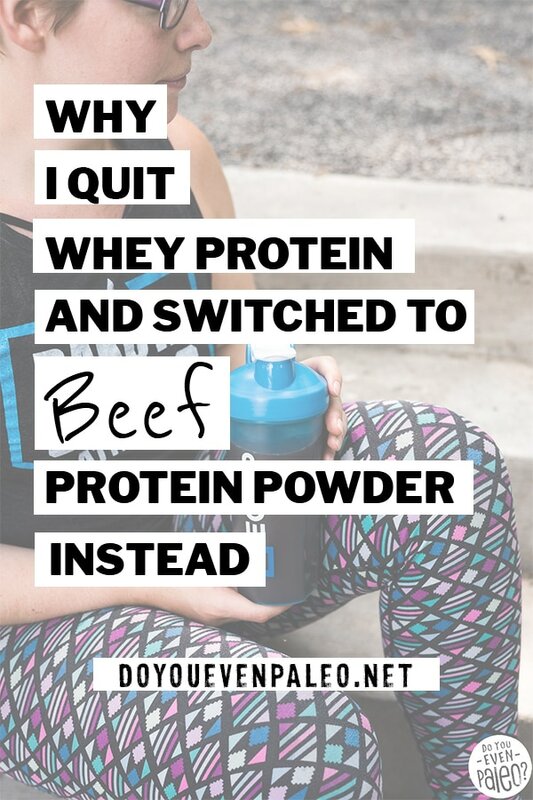 Even though my main reason for the swap was related to my personal health, I thought I’d share my reasoning for the change, which protein powder I switched to, and how beef protein powder compares to whey protein powder nutritionally! 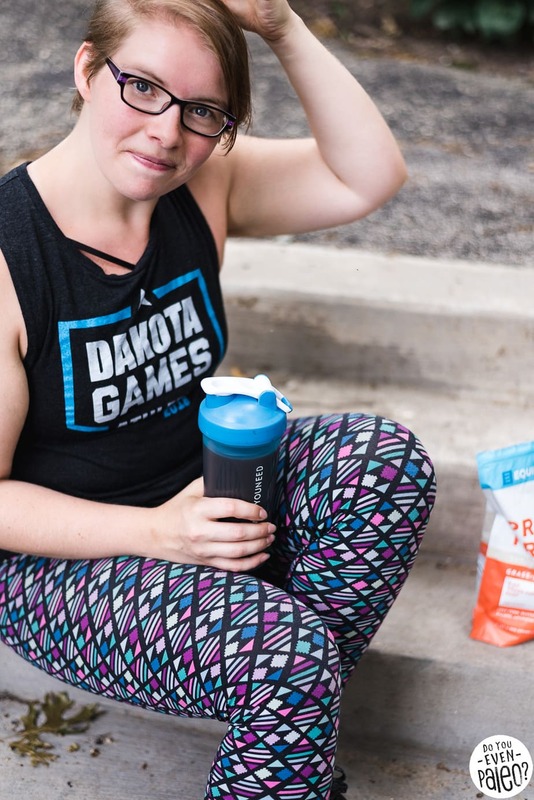 Before I get into why I made the switch to beef protein powder, I want to go over the factors I use to pick my protein. A protein powder has to align with each of these for me to try it. The ingredients list – Junk ingredients, artificial sugars, and fillers? Not in my protein. I look for protein powders with 5 or less ingredients, and make sure I know the purpose of each ingredient. How it makes me feel – No way will I keep drinking something that gives me an upset stomach. How it tastes – Sure, I could add pure egg white powder to my shaker bottle…but that just sounds disgusting, and I wouldn’t drink it. Protein powder has to taste good to get used! 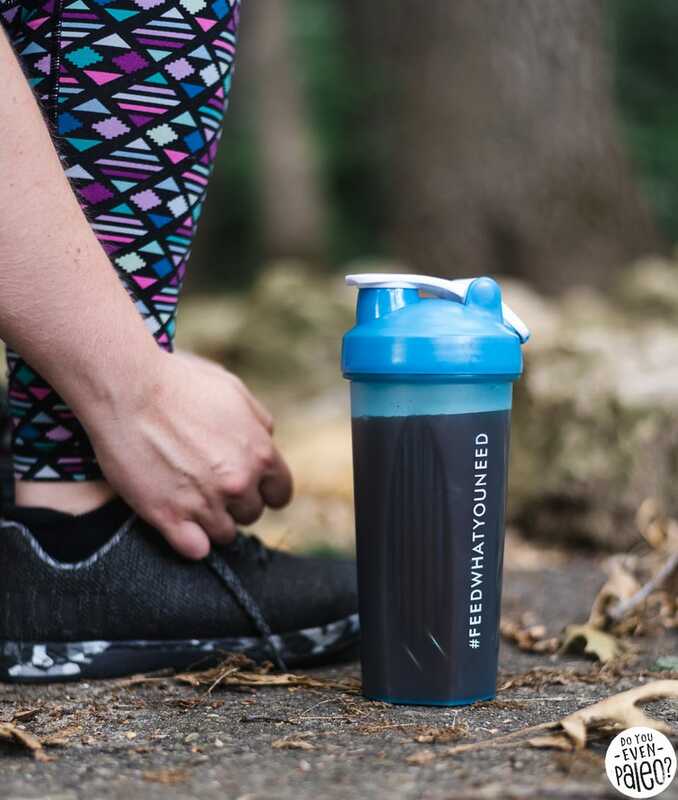 The amino acid profile – I use protein powder as a post-workout recovery option, so the amino acid profile is important to me. My protein has to have BCAAs (branched chain amino acids) to support muscle recovery and growth. Save 20% off your order at EquipFoods.com with code DOYOUEVENPALEO! Unlike other amino acids, BCAAs have a “branched chain” (see where they name comes from?) that makes the job of converting the amino acid into energy easier. Branched chain amino acids include leucine, isoleucine, and valine. All three are ESSENTIAL amino acids, meaning the body can’t produce them on their own and you need to eat them either through food or supplements. The BCAAs can be found in meat and eggs, so if you eat animal protein you already get these amino acids. 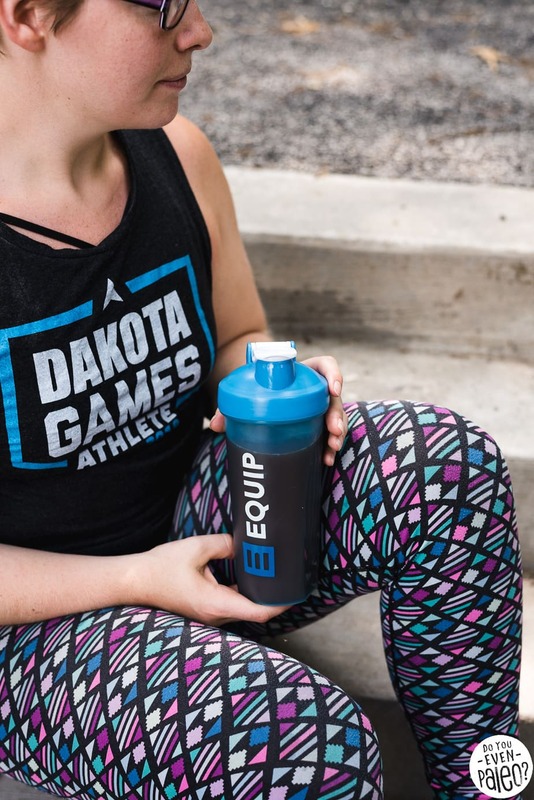 But if you’re like me and you train hard multiple days a week, you might choose to supplement BCAAs to support muscle building and recovery. What exactly do leucine, isoleucine, and valine do for athletes? Leucine – The rockstar BCAA, leucine is more well-tested than isoleucine or valine. Leucine promotes muscle building and energy production—both benefits that get two thumbs up from me! Isoleucine – Promotes muscle recovery and prevents muscle soreness after training. Valine – Features many of the same benefits as leucine and isoleucine. Leucine has been studied more in isolation than the other two BCAAs, so it’s not 100% clear if the benefits of BCAAs mostly lean on leucine or not. Either way, it’s clear why BCAAs are so prized among athletes! I use protein powder primarily to get the benefits of BCAAs – and to make sure I’m getting enough protein in a day. So making sure the BCAA content of beef protein powder is in the ballpark of whey protein powder is incredibly important to me! I used whey protein for years, even when I kept gluten and dairy out of my day-to-day life. It ticked all the boxes by the criteria I mentioned above. Honestly, the whey protein powder I was using is a great product and awesome company. So why switch? 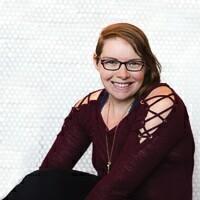 As I was researching hidradenitis suppurativa for my post about how I manage the condition, I found a couple small studies that suggested that cutting out dairy can drastically reduce flare-ups. Woah. Of course that caught my attention, since I still used whey protein almost daily after my workouts! As soon as I read that, I knew I needed to make the switch. Revisit my criteria above – sure, my stomach handled whey protein fine, but it could be affecting my body in other ways. Now, if you’ve read my post about hidradenitis suppurativa, you’ll know I don’t get many flare-ups since going (mostly) paleo. Still, the possibility that I can continue to improve my health and management of the condition just by switching protein powders was enough to make me immediately head over to Equip Foods’ website and buy two bags of Prime Protein. I’d heard great things about the protein from other bloggers, so why not give it a shot? I fell in love with Prime Protein immediately. This beef protein powder meets all my criteria. A super short ingredients list. I feel incredible when I use it. And this stuff tastes phenomenal. Like, absolutely phenomenal. Want to give beef protein powder a try? Use code DOYOUEVENPALEO at Equipfoods.com to get 20% off! So, I may have switched because of a pre-existing condition, but I was also concerned with how the amino acid profile stacks up. After all, I use protein powder to recover from workouts. I already covered why BCAAs are so important for that use. No matter how epic Equip’s protien powder tastes, does it really do me any good after a workout? 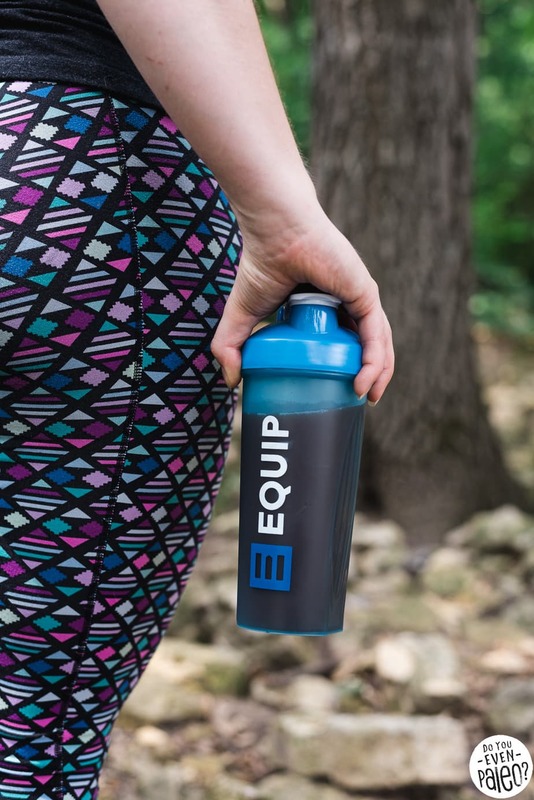 Unfortunately, Equip doesn’t publicly display the amino acid profile of their protein due to an NDA (non-disclosure agreement) with their manufacturer. That gave me pause at first. But they aren’t trying to hide it — if you email hello@equipfoods.com they’ll send it over. 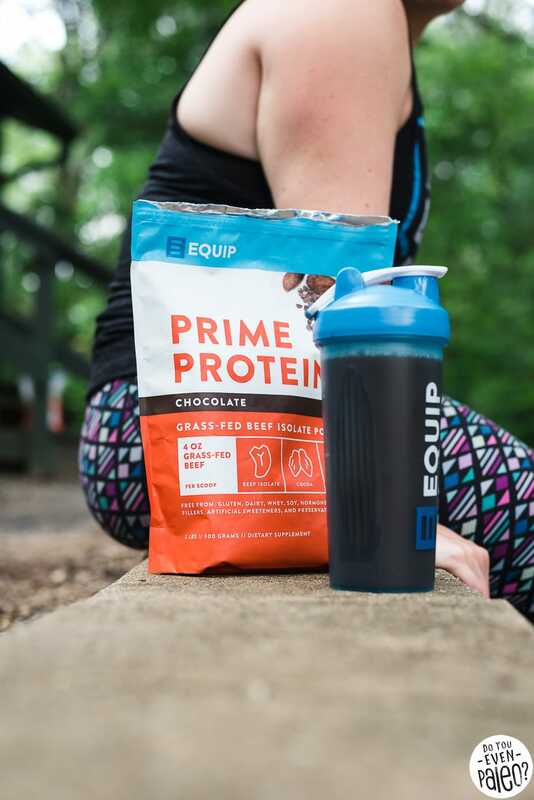 I love that Equip’s Prime Protein isn’t just collagen. Collagen, by itself, is not a great post-workout protein source because it doesn’t contain a full amino acid profile. Yes, there’s collagen in Equip’s protein powder because it’s made from beef – but more than that, it’s literally made from the muscle of the cow. Each scoop is like a 4 ounce steak. Except we’re talking a 4 ounce steak that tastes like brownies. YEAH, I’M DOWN. That truly matters, because so many “beef” protein powders out there are just collagen or gelatin. They don’t provide the BCAAs and full amino acid profile that you need for post-workout recovery. You can bake up all sorts of wonderful things with Equip Prime Protein. I worried that beef protein powder wouldn’t be easy to back with, but a few recipe tests later I proved myself wrong! Don't subscribe All Replies to my comments Notify me of followup comments via e-mail. 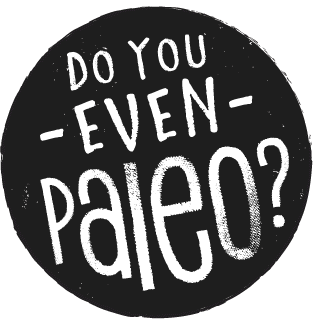 You can also <a href='https://www.doyouevenpaleo.net/comment-subscriptions/?srp=4985&srk=87505361eee98908ddf6ccb8681f50d6&sra=s&srsrc=f'>subscribe</a> without commenting.